Cyclone Idai struck southern Africa in mid-March, causing devastating impact where it made landfall in Mozambique, Zimbabwe and Malawi, including storm surge, landslides, and flooding. Over 1000 people lots their lives, and more than three million people have been affected. It has been reported that 400,000 people are also living in evacuation, having lost their homes. Further, due to a worsening of hygienic conditions, infectious diseases such as cholera are now at risk of proliferating. Emergency humanitarian support for survivors is now an urgent task. The Peace Boat Disaster Relief Volunteer Center (PBV) will dispatch several staff to Mozambique, which was particularly affected by this disaster, to conduct an assessment of the local situation and needs and implement emergency relief. Peace Boat has visited Mozambique on its global voyages several times. In 2015, in a project organised in collaboration with the UN Office for Disaster Risk Reduction (UNISDR), a group of youth representatives from Africa including from Mozambique joined Peace Boat’s voyage for a capacity building programme in relation to disaster risk reduction and resiliency (see here). This assessment of the disaster-affected areas and implementation of required support will be conducted in close cooperation with local partner organisations, including government agencies and relief groups. We will make utmost efforts to provide prompt assistance to those affected. We have launched an emergency relief fund to support these activities, and thank you in advance for your generous support. Please see PBV's homepage for information about how to support and future updates. 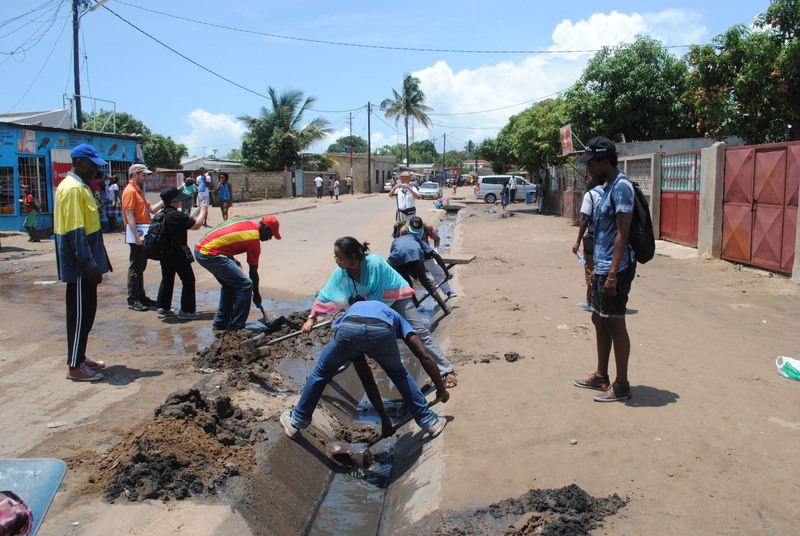 Photos are from disaster risk reduction and resiliency programmes carried out with local partners during previous Peace Boat visits to Mozambique. Event with the United Nations Office for Disarmament Affairs - "Youth Ambassadors Working Towards a Nuclear-Free Future"
Volunteer Information Session in Tokyo!